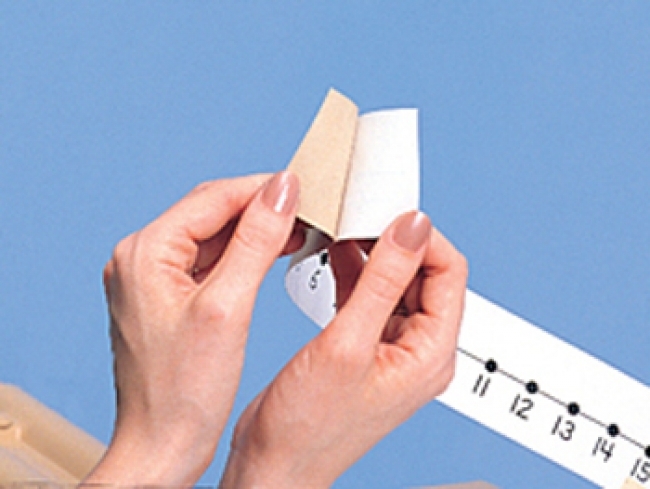 The Teacher's Number Line helps to teach counting and number relationships. It can be used to direct instruction the whole class. 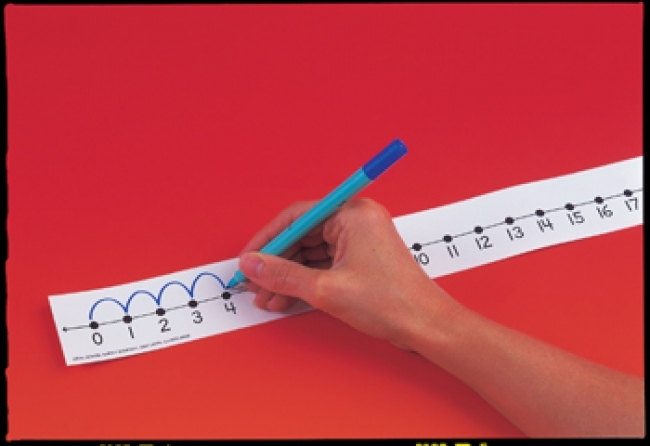 The teacher can work in front of the class using the number line while each student follows along using the Student Number Lines With Adhesive Backs or Student Number Lines..
Numbered 0 to 25. 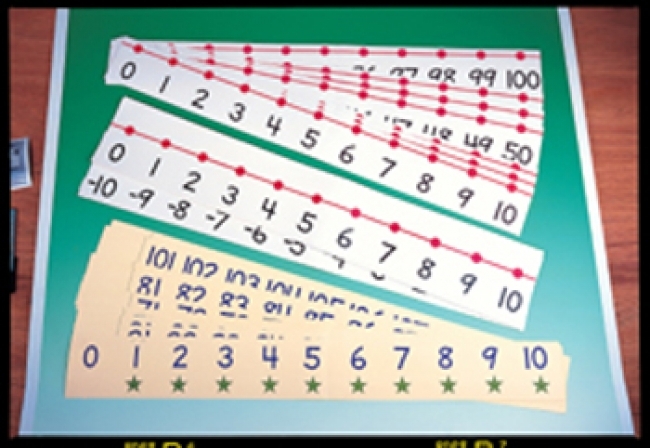 Use these mark-on/wipe-off number lines with Ideal Plastic Marks crayons. Each 24" x 2" (61 x 5cm). Set of 12 with activity sheet. 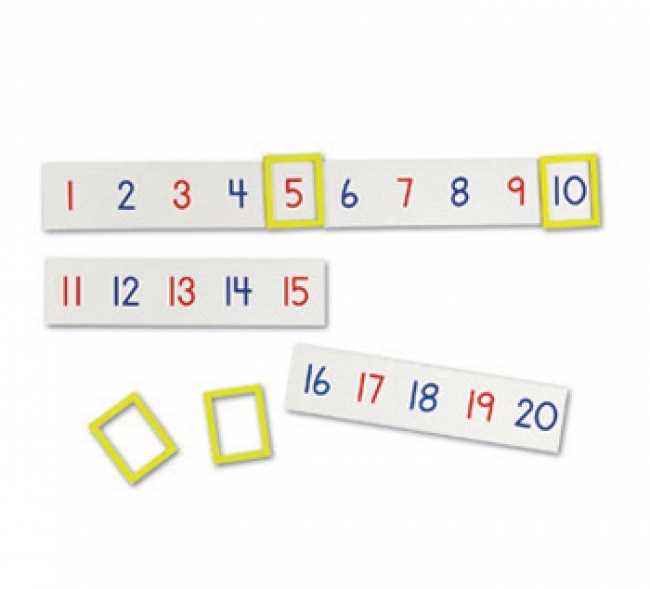 Demonstrate counting, operations and equations in a visually engaging way with this set of 24 magnets. 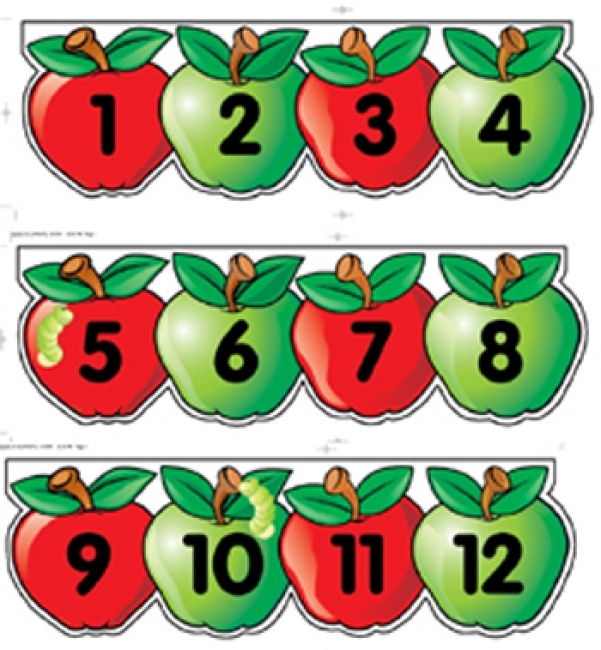 Suitable for use on any magnetic surface, each magnet strip is printed with 5 numbers and measures 9 1/2"L x 2 1/4"H. Just line up the strips to create a single 1—100 number line. Odd numbers appear in red, even numbers in blue. 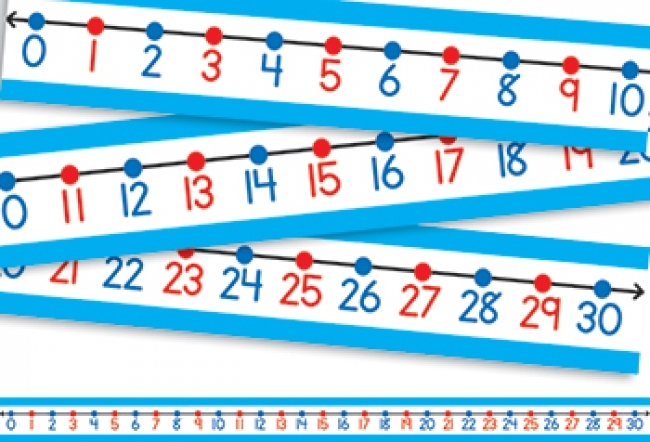 Use the 4 frame magnets to highlight individual numbers on the line. 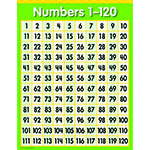 Includes guide with ideas for 100th day of school activities, plus many other everyday uses throughout the school year. 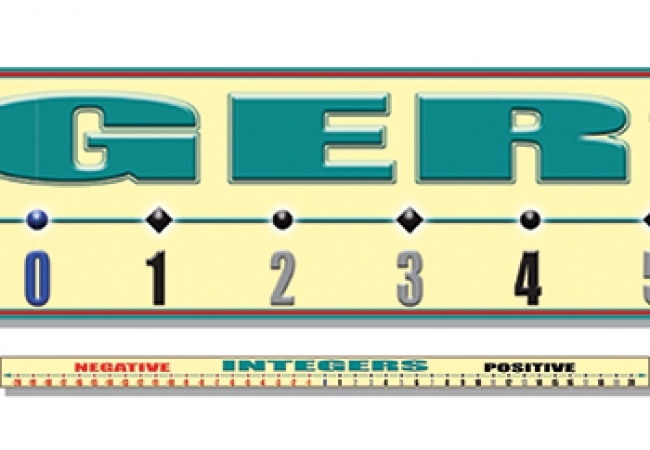 This giant number line identifies positive, negative, even, and odd numbers, and is great for teaching absolute value, addition and subtraction of integers, and more. It's 8 1/2 inches high and over 14 feet long.